What does the word Beautiful truly mean? What does the word beautiful truly mean? Beautiful can mean so many different things to different people. However, what I am talking about is body image and self image. In our world today, it is defined by models we see in magazines, or even friends we envy for what they look like. Some are envied for how many likes or followers they have on Twitter or Instagram. We wish we were a smaller size, or what we were before we had kids. There is no issue with wanting that and aiming for that goal, but you have to do it for you and no one else. I have a theory why we do this. It may be wrong or right on the money for some people but here it is, self worth. We do not feel good about ourselves as women or men, so we need to hear it and and see it from our social media followers, likes etc. For that what we tend to find important in today’s world. I think as people, we need to stop looking in a mirror and and fixing whatever we see wrong that day. We need to stop saying “I feel fat” or “I don’t like this about myself” and fix what is wrong on the inside first. Whatever that may be for you at this time in your life, only then will you truly feel beautiful and own who you are and feel good enough about saying the words”I am beautiful” to yourself. It should come from within yourself that you are in fact beautiful, not from others. So for those of you who need to hear this, you’re beautiful just the way you are. Those trying to better themselves in any way through weight loss, recovery from eating disorders, or just body image issues, in the end beautiful is a word of self discovery of not just outer beauty but inner beauty. The word beautiful is what all of your strengths means to me? 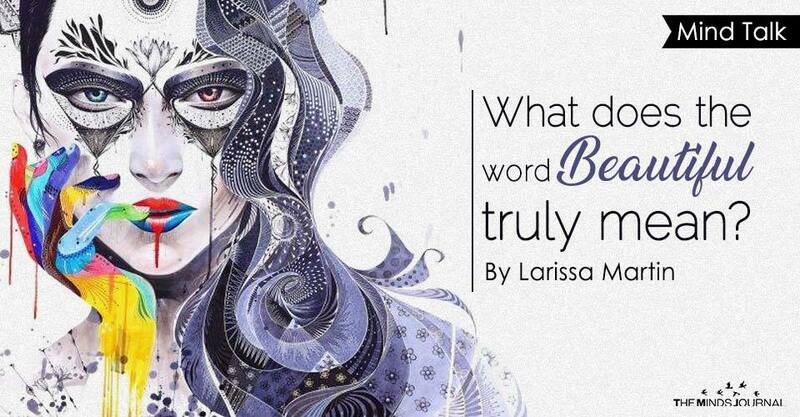 What does the word beautiful mean to you?